Art direction beats resolution every time. If you're the proud owner of a Wii U, you might be wondering whether the Switch is worth a day one purchase. 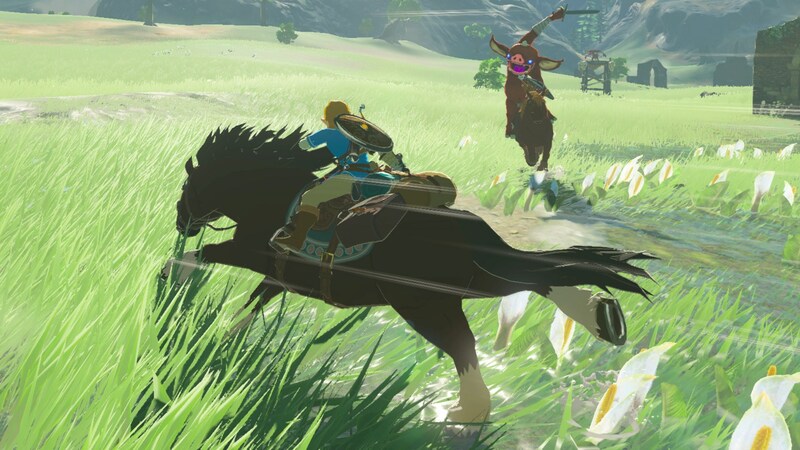 The Legend of Zelda: Breath of the Wild is coming to both, so what's the rush, right? Well, the two versions have a few key differences. In a statement provided to IGN, Nintendo confirmed that the Switch game will run at 900p on your TV, while the Wii U version will be stuck at 720p. Switch owners will also benefit from "higher quality environmental sounds," covering water, grass and ornate steps. These will be "more realistic and enhance the game's open air feel," apparently. Otherwise, it's the same experience. Nintendo says a few onscreen buttons will differ -- inevitable, given the two platforms have different controllers -- but that's about it. In its statement, the house of Mario also revealed that both versions will run at 30 frames per second. That will be a disappointment to some, who were no doubt hoping for a perfect 1080p/60fps performance. It should be stressed, however, that resolution and frame rate doesn't determine a game's overall visual quality. Art direction is far more important, and Breath of the Wild has it in spades.